We’re on a mission to ensure that our patients receive the most advanced pediatric dental care available. Our experienced team regularly attends seminars and conferences devoted to new treatments, new technologies, and the improvement of patient care practices. Your family is our top priority, and this is our commitment to you and your child. While we put great effort into accommodating your schedule, unfortunately, it is not possible to give everyone appointments in the late afternoon. As such, we tend to reserve the late afternoon times for older children. Younger children typically do well at early morning appointments. Our experience is that after a long day at school, afternoon appointments are very strenuous on an already tired child. We do try to reserve our late afternoon appointments (3:30-4:30) for our junior high and high school age students. We understand that missing school time at these ages is strenuous. Our staff will inform you if your child’s specific procedure needs to be done at a specific time. 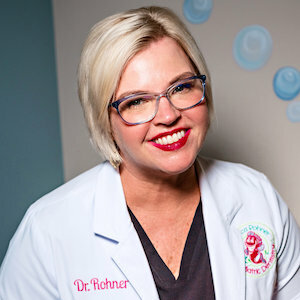 Appointment times and lengths are determined by Dr. Rohner taking into consideration the procedure, the child’s age, as well as the child’s experience with dental procedures. We will attempt to contact you either by phone, text, or email prior to your scheduled appointment to confirm the day and time reserved for your child. If you arrive more than 10 minutes late to your appointment, you may be asked to reschedule. Contingent upon the schedule, we may be able to work you in later that day. If you agree, you must wait until an appointment time is available or another patient cancels. We thank you in advance for your understanding and cooperation! If you must cancel your child’s appointment, please call our office at least 24 hours in advance. A 24 hour notice is required to cancel or change this appointment. A $25.00 fee may be charged to your account if the appointment is missed, cancelled, or rescheduled without at least 24 hour’s notice. Exceptions to this policy can be determined only on an individual basis, according to the circumstances. We understand that occasionally, children get ill or other unexpected emergencies make it necessary to cancel an appointment with less than a 24 hour notice. Please contact our office immediately and we will do our best to accommodate your situation. If time has been reserved for your child’s restorative dental care, a missed appointment results in lost time which prohibits another patient from receiving the treatment they need. We make every effort to stay on schedule, so we respectfully ask patients to do the same and arrive for their appointments on time. We ensure you that following all of the above policies will allow us to serve you and your child better. Our office is committed to helping you maximize your dental insurance benefits. Because insurance policies can vary greatly, we can only estimate your coverage in good faith, but we cannot guarantee coverage due to the complexities of insurance contracts. Your estimated patient portion must be paid at the time of service. As a courtesy to our patients, we will bill your insurance company for services and allow them 45 days to render payment. After 60 days, you are solely responsible for the entire balance, paid-in-full.